1 Russian President Vladimir Putin (C) shakes hands with a man injured in a bomb blast, Volgograd, Russia, Jan. 1, 2014. 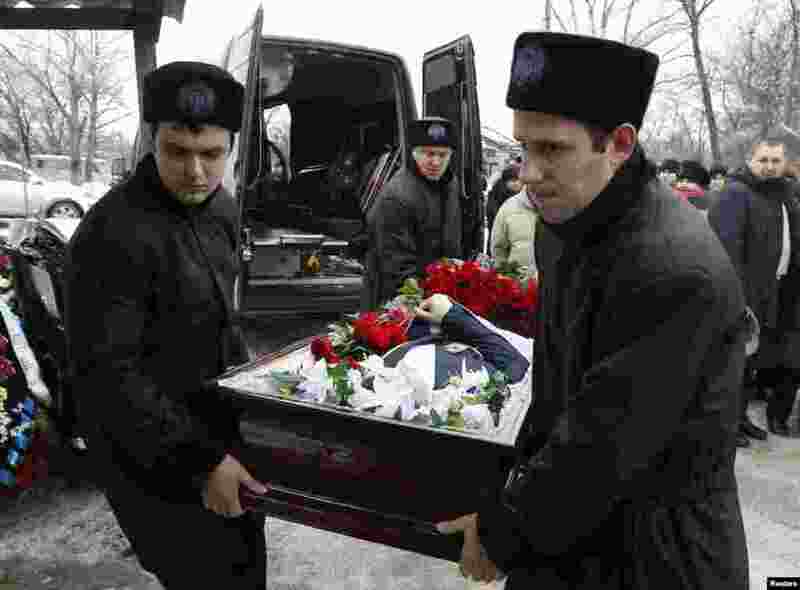 2 Pallbearers carry the coffin of Denis Andreev, age 24, who was killed by a suicide bomb blast in the main railway station, Volgograd, Russia, Jan. 1, 2014. 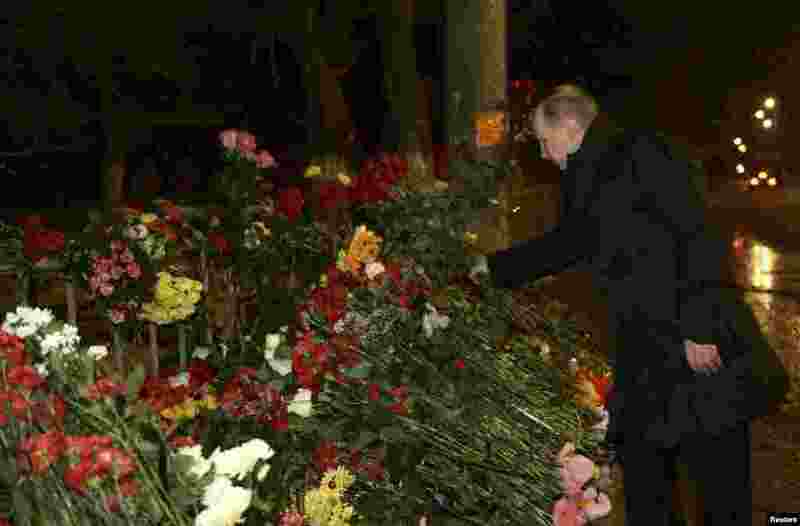 3 Russian President Vladimir Putin lays flowers at the site of a trolley bus explosion, Volgograd, Russia, Jan. 1, 2014. 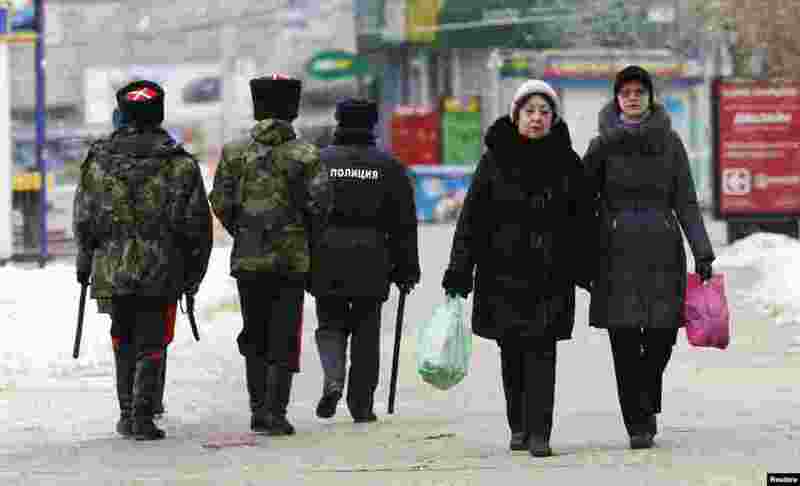 4 Security personnel patrol the streets, central Volgograd, Russia, Jan. 1, 2014.